Toa Baja ([ˈto.a ˈβaxa]) is a municipality of Puerto Rico (U.S.) located in the northern coast, north of Toa Alta and Bayamón; east of Dorado; and west of Cataño. Toa Baja is spread over 5 wards, including Toa Baja Pueblo (The downtown area and the administrative center of the city). It is part of the San Juan-Caguas-Guaynabo Metropolitan Statistical Area. Toa Baja considered to be a part of the Metropolitan Area. It shares its metropolitan area status with San Juan, Bayamón, Guaynabo, Cataño, Carolina and Trujillo Alto. 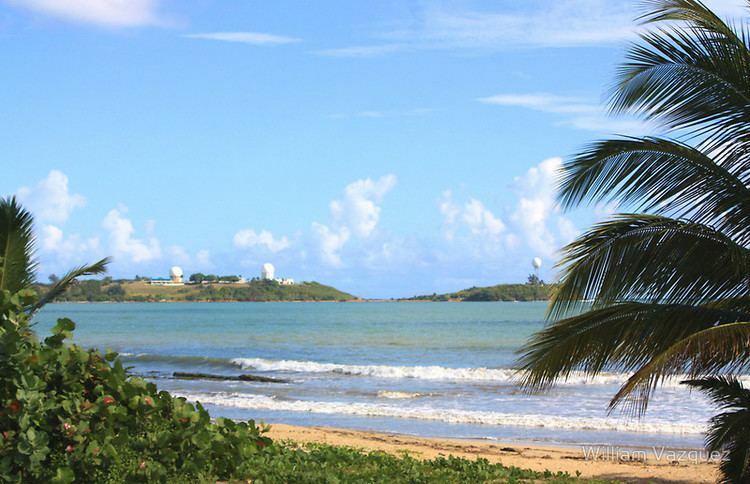 Toa Baja is located fifteen minutes by car from San Juan and one hour from Ponce. The region of what is now Toa Baja belonged to the Taíno region of Toa and Bayamón, which was located on the north coast of Puerto Rico. The regions were led by cacique Aramana and Majagua respectively. During the Spanish colonization, a farm was settled in the region around 1511 where Spanish settlers tried to learn from the Taínos how to grow fruits and vegetables. Some of the families that settled in the region were the Marrero, Salgado, and Martínez, which came from the Canary Islands. In 1745, the town was officially organized, with the parish being built in 1749. It was dedicated to Nuestra Señora de la Concepción (Our Lady of the Immaculate Conception). It is said that in 1776 there were six cattle ranches and 12 sugar cane estates in the region. However, rises in the flow of nearby rivers were problematic for the population. Because of this, in 1841 a group of residents requested the settlement to be transferred to what is now Dorado. The town of Dorado was officially founded the next year. In 1902, after the U.S. invasion, the Legislative Assembly of Puerto Rico approved the consolidation of several municipalities, which resulted in the annexation of Toa Baja to the city of Bayamón. 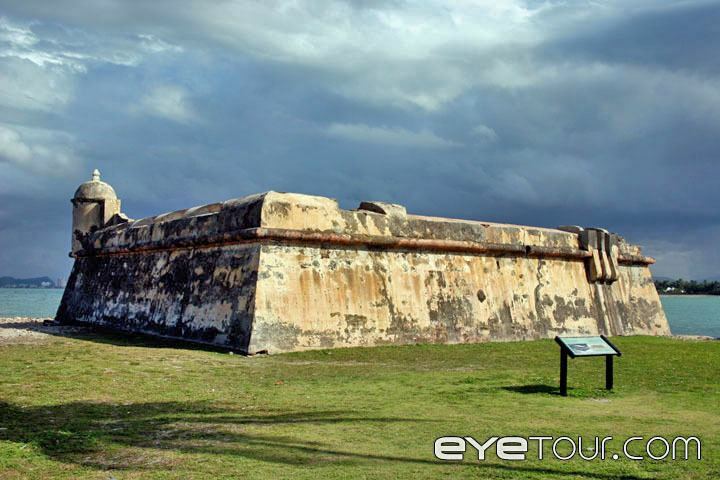 However, in 1905 the law was annulled, and Toa Baja regained its status as an independent town. In 2010, Toa Baja was among the top ten municipalities in Puerto Rico, in terms of population, with 89,609. The town of Toa Baja is located in the Northern Coastal Plains of the island, in the karst zone. It has an area of 24.0 miles2 (62.4 km2). The terrain consists mostly of alluvial deposits and clay-like surface as a result of the surrounding waters. The elevations range from 200 to 490 feet (60 to 150 meters) above sea level, with most of its highest parts located in the south. The rest of the area is mostly plain. The northern part of Toa Baja is characterized for its mangroves and marshes, while the southern part is classified as typical karst area. There are three main rivers in Toa Baja: Río la Plata, Río Cocal, and Río Hondo. La Plata is the longest river in the island and crosses Toa Baja in the east. Cocal is the natural boundary between Toa Baja and Dorado. Toa Baja is divided into seven barrios. In 2009 an order was given by Governor Luis G. Fortuño to shut off essential services, such as water and electricity, to Villas del Sol, a village within the municipality of Toa Baja. Villas del Sol consists of homes built illegally on flood-prone State land. 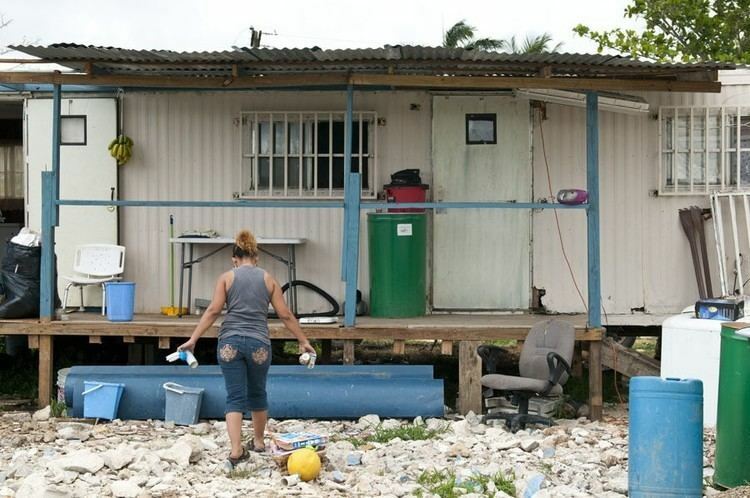 The Federal Emergency Management Agency bought these homes from the Puerto Rican Government in order to keep them from being used further. In January 2010 the Puerto Rican government began demolishing some of the homes. The village has a large population of Dominicans, both legal and illegal. Like most municipalities, Toa Baja celebrates its fiestas patronales annually. They begin in June 30 and are dedicated to Saint Peter. There are other festivals celebrated through the year. A Crafts Festival (Feria de Artesanías) is celebrated in March, and a Beach Festival in July. The Fiestas de la Santa Cruz are celebrated during May, with the participation of various churches and cultural groups. It is dedicated to the Saint Cross, and lasts nine nights. Also, in October, the town celebrates the Festival de la Zafra, with musical groups of bomba and plena. Toa Baja doesn't have a team in the island's main male sports leagues. They do have a female volleyball team from the Liga de Voleibol Superior Femenino, the Llaneras de Toa Baja. Each year, Toa Baja hosts both the Pee Wee Reese World Series (for baseball players of ages 12 and under) and the Willie Mays World Series (for baseball players of ages 10 and under). The town has a team, the Llaneros de Levittown, in the PeeWee Reese Category baseball team from the Pro-Deportes/American Amateur Baseball Congress. For many years, Toa Baja's economy relied in agriculture, particularly sugar cane and cattle. Because of this, the municipality was the site of many important haciendas like Santa Elena (founded in 1790), Central Constancia (founded in 1867), and Media Luna. 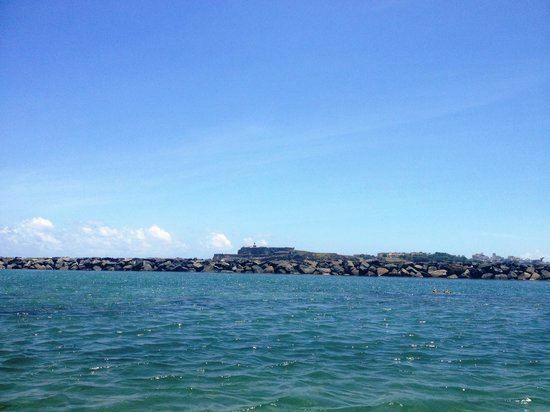 In the middle of the 18th century, fishing also became a primary source of Toa Baja's economy. Cattle ranches were also among the best in the island, processing large amounts of milk. The growth of small fruits also continues to be one of Toa Baja's main products. After the 1950s, manufacturing started replacing agriculture as the main economic source. Currently, the industrial sector continues to be one of the most important factors of economic growth in the region. Some of the products manufactured in Toa Baja are metal, plastic, concrete, textile, electrical and electronic machinery, and rum. Toa Baja currently has a population of 89,609. This represents a decrease of 4,476, from 94,085 in 2000. With the exception of the 2010 census, population in Toa Baja has steadily increased since 1899, when it had 4,030. Anibal Vega Borges, a lawyer, was elected Mayor of the city in 2004 for the first time. He has been re-elected twice (2008 and 2012). Vega Borges' election wins have been for wide margins, which led a newspaper to label him as one of the "most powerful" mayors in the island. Toa Baja's official flag features two vertical bands: the left side is green and the right side is gold. The green band represents the plains of the Toa River (now known as La Plata), and the golden band represents the sun. The green band features two keys, one across the other. One is gold and the other silver, symbolizing the Apostle Saint Peter, the patron saint of the city. Toa Baja's coat of arms features a green waving stripe, representing the Toa River, one of the first mentioned in the history of Puerto Rico. Like the flag, it features two keys, one across the other, symbolizing Saint Peter, patron saint of the town. The coat has the letters "F" and "J" to each side of the keys, representing Ferdinand II of Aragon and V of Castile, and his daughter, Joanna of Castile, sovereign of Castile and León. The gold fields above and below the green stripe represent the wealth of the city. It also feature handfuls of yucca, one of the main crops of this area. It constitutes a symbol of the Taínos who cultivated it, and whose main food was cassava or bread of yucca. Two sugar cane stems surround the shield, representing the cultivation and industry of sugar cane, which was the main source of Toa Baja's economy. Toa Baja is approximately 25 minutes in non-rush hour from San Juan by car, however, it may take up to 90 minutes in rush hour. The main road to the city is the PR-22 and Road #165. A new bus rapid transit (BRT) system called Metro Urbano operates in the center of José de Diego Expressway (PR-22) in high-occupancy vehicle lanes (HOV) from Candelaria in Toa Baja to the Bayamón Station of the Tren Urbano.